In Assassin's Creed Origins, entire communities of digital Egyptians go about their daily lives: farming, trading, weaving and, yes, mummifying. But most players don't see this, too busy scaling rooftops or racing around on horseback and cutting down their enemies. It must be fairly disheartening for the hundreds of developers at more than a dozen studios around the world. Appromixmately three years was spent crafting the open world of Ancient Egypt, only for gamers to blitz through it in a couple of weeks and move on to the next big release, never fully appreciating the care and attention that has gone into its environment. Ubisoft has decided to change this with the impending release of the Discovery Tour mode, a combat-free scenario that transforms the world of Assassin's Creed Origins into a virtual museum. Announced last year and releasing on February 20th, Discovery Tour will be free to everyone who has purchased the game or available as a standalone $20 download on Steam and Uplay. It will contain 75 guided tours, each between five and 25 minutes long, and educate players not only on the major landmarks that have been recreated in the game but also the cultural and social details many of them may have passed by. Or they can just run around Egypt, exploring it at their own pace. Given the amount of research that goes into ensuring Assassin's Creed settings are as historically accurate as possible, it's no surprise that franchise historian Maxime Durand is particularly excited about this release. "The Discovery Tour is a dream that we've had for a very long time," he tells GamesIndustry.biz. "We were lucky that our top management totally supported us on that initiative. "We think that the massive amount of work and dedication that we've put on recreating Ancient Egypt should be shared with the maximum number of people. We have crafted an open world environment in which we hope our work on credibility allows for players to be totally immersed. Within the Discovery Tours, we can share more details and highlight their value. For us, this is a very interesting avenue when it comes to bringing academic information about a time period." However, the opportunity goes beyond simply showing off everything Durand and his team learned while making Origins. It also opens up new possibilities for using video games in an area that has historically shunned them: education. "We think that the massive amount of work and dedication that we've put on recreating Ancient Egypt should be shared with the maximum number of people"
When creating the Discovery Tour mode, Durand and the Ubisoft management gave the developers a very clear guideline: "A teacher should not fear to bring this special mode into their classroom allowing students to immerse themselves in Ancient Egypt and learn more about it in a very interactive way." Far from a publisher-driven need to reach a wider audience with its flagship franchise - let's not forget Assassin's Creed does have a high age rating and is therefore not appropriate for schoolchildren - this is in part derived from comments that Ubisoft has received from educators. 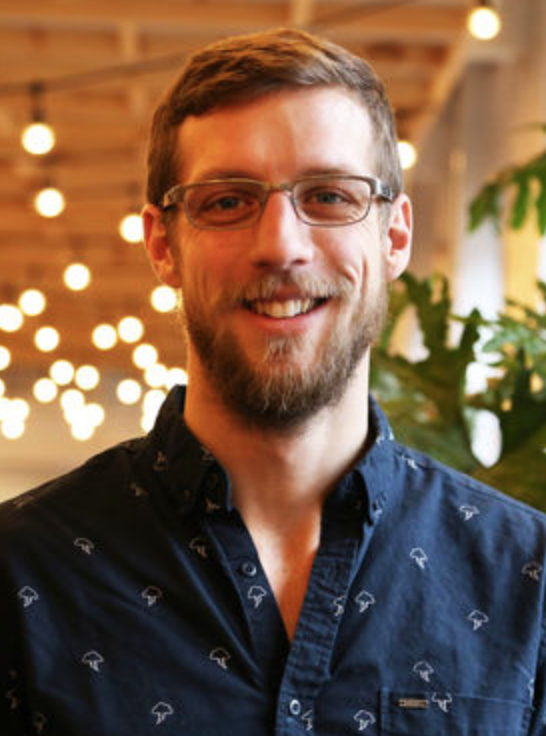 "For several years now, we have been receiving testimonies from teachers who tell us they're recording 'safe for school' videos of our games to create their own educational material," Durand reports. 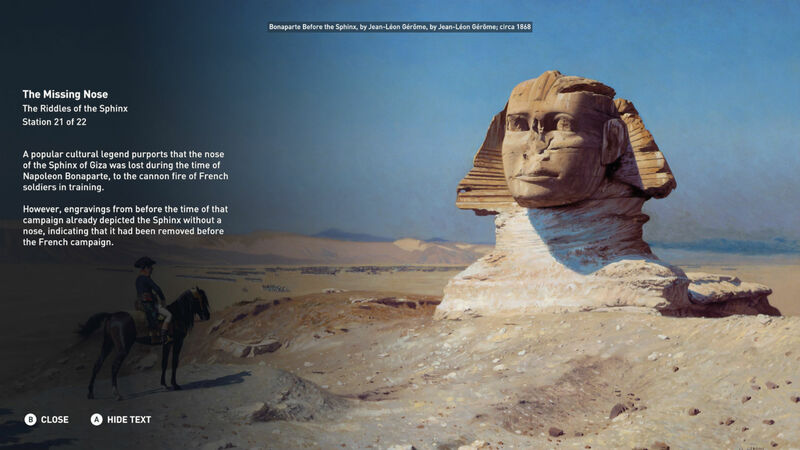 "This time, not only will they not have to fear to show the content of this unique mode to their students, but it comes with additional academic information curated by historians and Egyptologists." It's a smart way to get young people interested, and with the groundwork already laid by the absurd amount of detail in Assassin's Creed Origins - or indeed any of the previous Creeds - it's surprising we haven't previously seen an educational version of Ubisoft's biggest blockbusters. Perhaps the team may revisit the Victorian London and Revolutionary Paris seen in Syndicate and Unity respectively? It's also not difficult to imagine Ubisoft partnering with museums to install Discovery Tour as an interactive exhibit. UK promotional events for both Assassin's Creed Origins and this mode were held at the British Museum, world renowned for its collection of Ancient Egyptian artefacts. Is it so farfetched to picture a few PlayStation pods near the real-world mummies with Discovery Tour set to talk players through the process? "A teacher should not fear to bring this special mode into their classroom allowing students to immerse themselves in Ancient Egypt and learn more about it in a very interactive way." While it may be easy for the skeptics to dismiss Origins or indeed Discovery Tour as a diorama of Ancient Egypt geared towards entertainment, Durand stresses the amount of meticulous research that has gone into the title and that the Tour will demonstrate this better than the core game ever could. "This is the [furthest we have gone] back in history, and most of the places we're presenting in Assassin's Creed Origins have nothing left but ruins," he says. "This is why our collaboration with historians and Egyptologists has been key, so we could actually bring Ancient Egypt to life in the most accurate and credible manner. "The Ptolemaic period that we focus on is pretty well documented, but still there were many gaps to fill in and sometimes the sources themselves could be challenged. For instance, a big part of what we know from Cleopatra comes from her enemies in Rome and from a book associated to Caesar - who was probably not totally objective in the way he presented facts and events. "Another example is the fact that at the time, most buildings were painted with colours that have since disappeared. In all Assassin's Creed games, recreating the setting and time period is a constant balance between historical facts and artistic vision, but that was even more true for the Ptolemaic Ancient Egypt of Assassin's Creed Origins." Ubisoft has also taken great pains to ensure Discovery Tour is enjoyable - it's not hard to imagine that removing combat and objectives from Origins leaves players with a large and barren world. But Durand is hoping the abundance of tours, on top of countless short articles and descriptions on the various landmarks, setpieces and native occupations, will make the experience more engaging that some might think. "History is our playground and we really thrive to make history accessible." 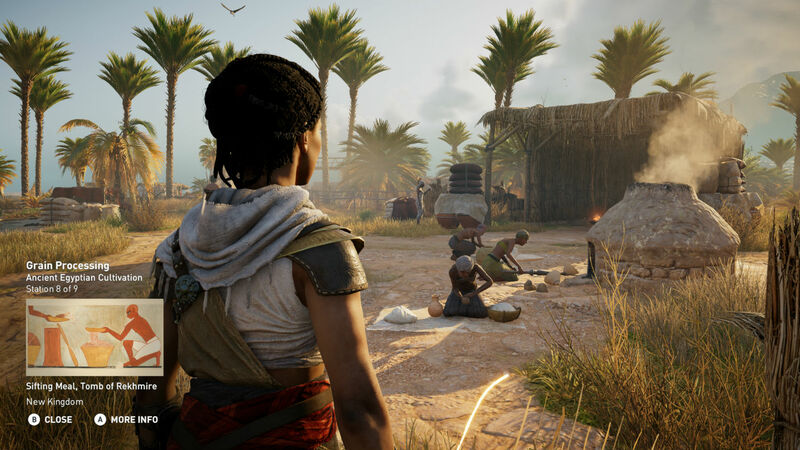 Players will also be able to explore Egypt in a variety of guises, from leads Bayek and Aya to historically significant figures like Cleopatra and Caesar, and while the RPG progression system is gone, there are achievements and trophies for those so inclined. The comprehensive photo mode is also present, no doubt in the hopes that virality will spread the word and encourage more people to try the Tour for themselves. "With the Discovery Tour, we want people to have the chance to visit a long lost world," says Durand. "We want digital travellers to be immersed and amazed by the variety and the beauty of this country in that time period. Our visitors will be able to take their time and enjoy the most this unique 3D interactive reconstruction of Ancient Egypt in a very accessible way. "We listened to lots of feedback from the educational world and designed with accessibility in mind - the controls are super easy - so all can take part in interactive guided tours to learn more about this incredible place and time. The possibility to re-use elements available in the game, such as seeing a priest performing some steps of the mummification process, makes the experience really stand out and keeps it entertaining." Durand is unable to comment on whether more Discovery Tours are planned for future Creeds (we spoke to him ahead of leaks suggesting a possible Viking setting for the series' next outing) but given Ubisoft's track record of exploring fascinating historical periods with its flagship franchise, this very much feels like it's testing the waters for future violence-free virtual excursions. In a way, Ancient Egypt is arguably one of the safest to start with, as it's instantly familiar to audiences of all ages. But when you look at the roots of Assassin's Creed, the series began by exploring periods rarely covered by video games or any other form of entertainment - most notably, the original game's Crusades setting. As the series has evolved, the range of historical periods covered has grown - some oft-tread by games (Rome, Victorian London, the pirate-ridden Caribbean), others less so (China, India, Russia and the Crusades). And Durand promises the series will continue to explore the "most pivotal moments in history" where it can - whether or not that's via a Discovery Tour. "[These moments] create opportunities to add to our lore and to create a rich narrative experience around the dualities of order and free will, as represented in the conflict between Templars and Assassins," he says. "Obviously, iconic locations are important to create an interesting and immersive playground. "History is our playground and we really thrive to make history accessible. The setting of the crusades with an Arab assassin as the main character was certainly a bold decision, and this is also true for many other characters and settings that we have dealt with ever since - for instance, the rise of the Ottoman Empire, or the Slave Rebellions in Haiti, are certainly not subjects that have been covered much by entertainment, yet they were very interesting Assassin's Creed game settings." He concludes: "The team inspires itself with as many historical references as possible. The more information we can get beforehand, the most likely we'll be inspired to create a world that is close to historic knowledge; both in terms of landmark reconstitutions, but also in terms of historical technologies, weapons or any other mean that can influence us. "History inspires us to create a fun and believable game environment." I absolutely love this idea and am excited to see it for myself. I hope Ubisoft do more of this!